He’s the king of his domain. She’s the queen of nap time. Can they learn to rule with their hearts? King Leonidas’s first wife was selected for him at birth. Now a widower, Leo has the right to choose his second wife, but it won’t be the love match he’s secretly dreamed of making. The small country of Cordoba is facing an economic crisis, and marrying a rich duchess would secure his people’s future. But can his heart afford another loveless marriage? As Esme and Leo get to know one another, it’s clear there’s a thing between them. But another thing— her lack of royal blood—is keeping them apart. As the clock ticks closer to midnight, will Esme get her storybook ending? Or will this fairytale turn grim? Find out if love will reign in this light-hearted, sweet romance of royal engagements. 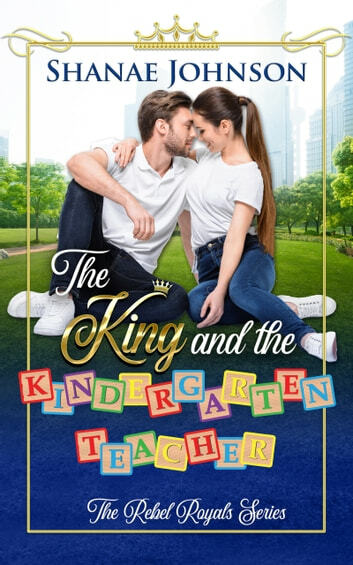 The King and the Kindergarten Teacher is the first in a series of royal romances that are beyond the common tale!